This week's critter is a member of the sea hare family, Aplysiidae. Similarly shaped are species of Aplysia , Dolabella and Doplabrifera. Syphonata geographica gets it name the map-like nature of the color pattern on its body. Linda's specimen shown above it a particularly striking example of this. Bill Rudman reports on his Sea Slug Forum reports that "S. geographica is another species from Indo-West Pacific which has apparently made it through the Suez Canal into the Mediterranean - another lessepsian migrant." Interestingly while adding this observation from the Mediterranean he continues - "Eales (1960) lists Syphonota geographica as being 'circumtropical' but gives no localities. I am unable to find any reference to this species being found anywhere in the Atlantic." Well Bill, Linda has provided us with that record. I love reporting new finds. This species differs from members of the genus Aplysia by the position of the rhinophores. In Syphonota they are close together and located farther back on the body between the parapodial lobes. Like other Aplysiids they are good swimmer propelled through the water by flapping their parapodia. They have also been observed to burrow into mud and silt bottoms. 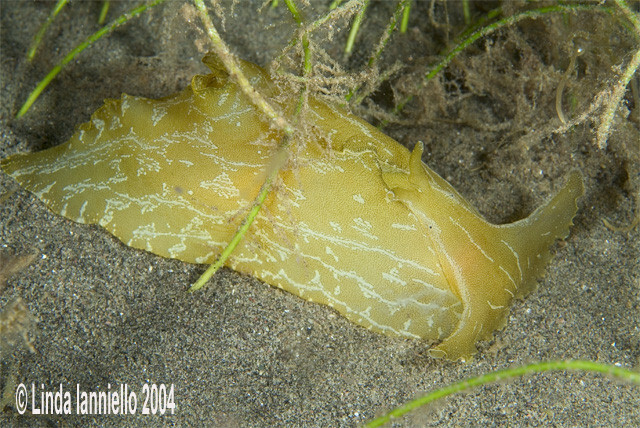 The Forum has notes from several reporting this in other sea hare species. The exact reason of the behavior is unknown as these algal grazers certainly are not feeding while buried. We can speculate that the behavior might provide cover from predators, protection from drying out at low tide or even a way to anchor themselves during periods of high tidal currents. After mating, the species lays a light salmon colored egg mass comprised of loosely tangles strings of egg bundles. 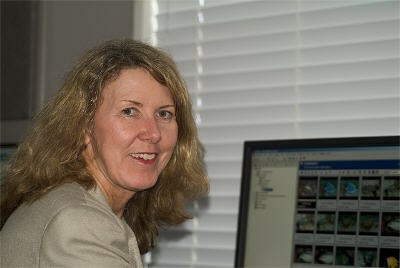 Linda is an amateur photographer whose passion is macro photography, especially sea slugs, where the search for the subject is half the challenge then photographing it is the other half. She is currently using a Fuji S2 digital SLR camera (and going through all the learning curve associated with the switch from film to digital). But for all the very tiny subjects, she still falls back on the dependable Nikonos V with the 2:1 framer. Linda lives in Boca Raton, Florida, and dives most weekends on the local reefs. She has made numerous dive trips to locations in the Caribbean, as well as Indonesia, Thailand, the Red Sea, Fiji, the Coral Sea, Palau, Yap and Truk. So far, the locations in Indonesia have been her favorites for macro photography. Linda and Anne DuPont (who has supplied photos for a couple of Branch of the Week selections) are constantly searching for the sea slugs in their backyard - the ocean off Southeast Florida - and identifying and documenting them. 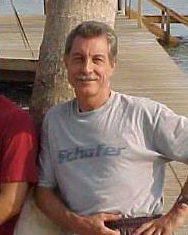 Proprietor of Sea Challengers Natural History Books !